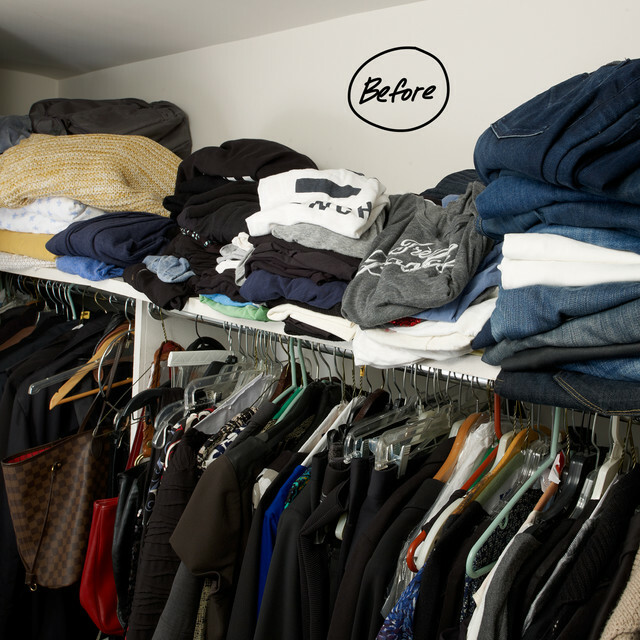 The discovery of this hidden treasure was part of the purging process during Laurie's recent closet makeover. An overdue process as Laurie recalls. 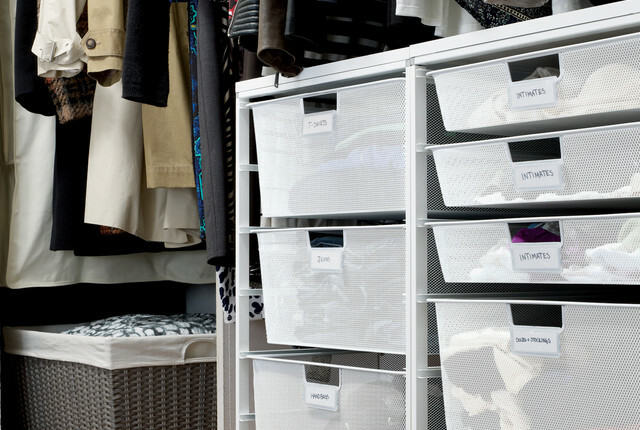 The closet is valuable storage space in her 500 square foot studio apartment in Manhattan. 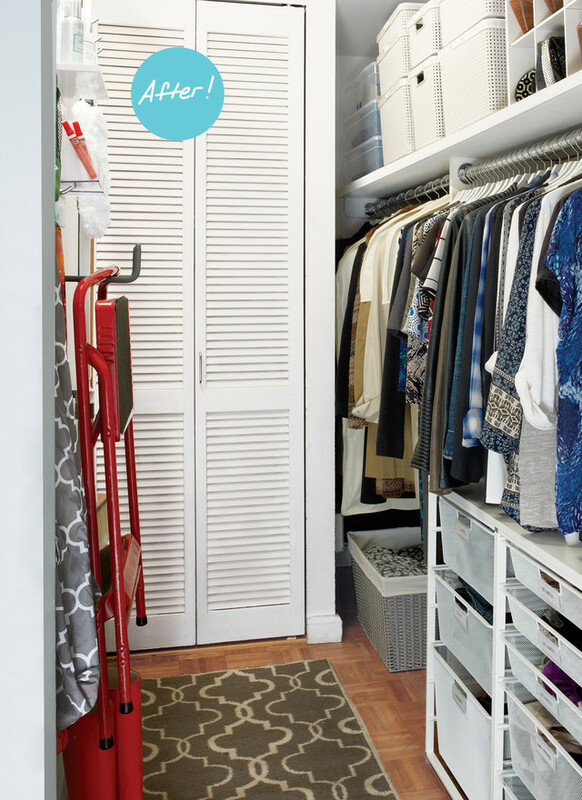 It's a space that does double duty as a closet and laundry area, but is also an extension of her living area. The closet space is on the right of the apartment just as you walk in the house, and was inefficient with only a single rod and shelf. She says it became the place to put "everything." 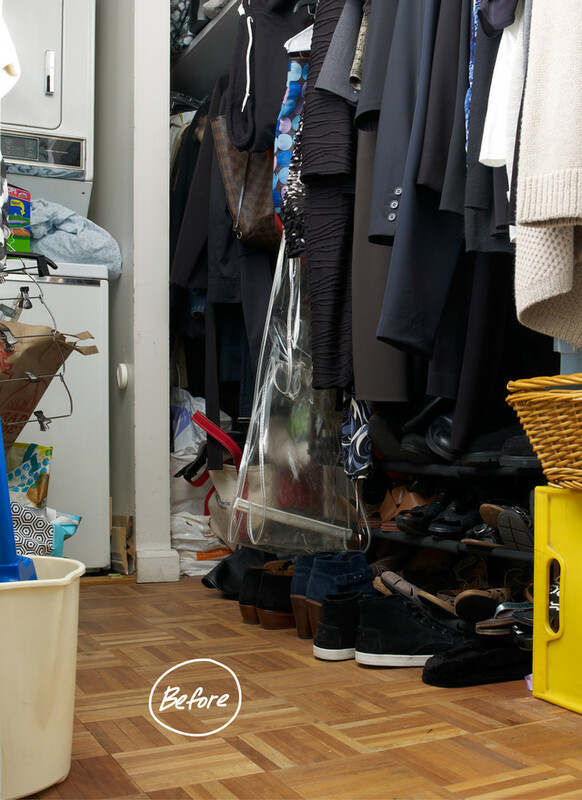 While she's become quite proficient at living comfortably in her small apartment, Laurie says she didn't have the knack for planning out a way to maximize the closet space, and found herself overwhelmed by the thought of addressing everything in it. She said she really came to terms with the fact that you sometimes need a third party to help you with suggestions on how to utilize the space and how to let things go that you're storing in it. 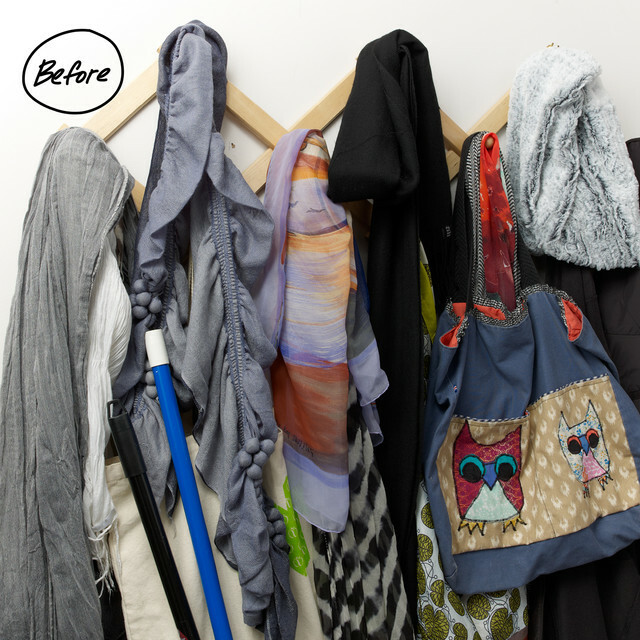 After enlisting some advice from The Container Store experts, she was able to purge the space and determine what to keep, what to toss and what to donate to Goodwill. 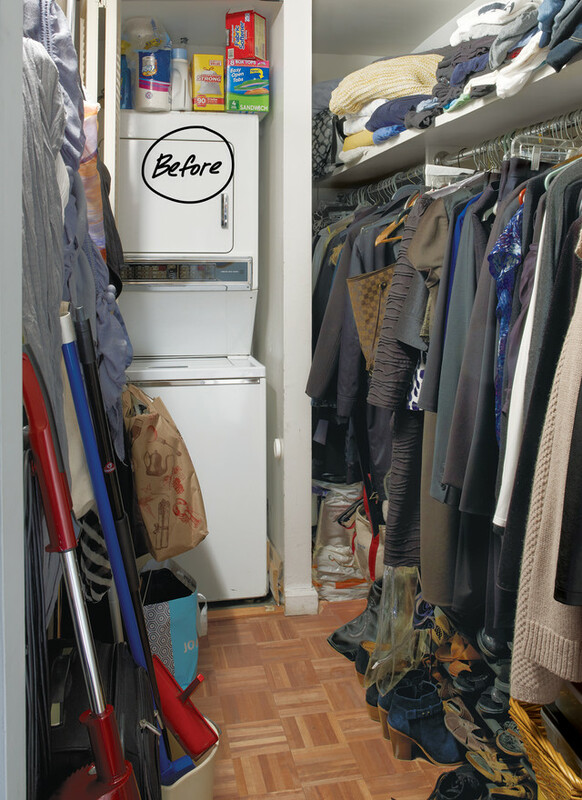 The result is an über efficient space with room for hanging clothes and drawer space that Laurie describes as "life changing." It's now a space that is livable, and unlike before, Laurie actually enjoys getting dressed in the closet, which she never did before. 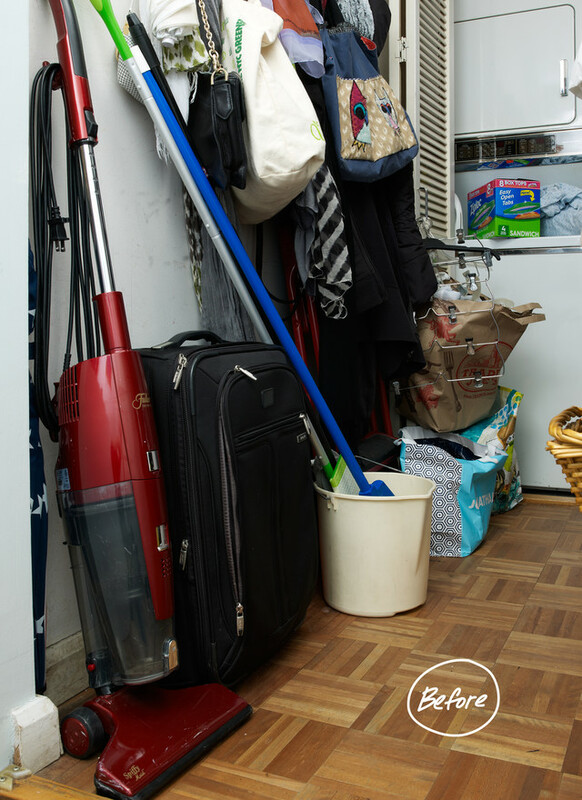 Laurie had never really thought of her closet as a storage space for her cleaning supplies even though she had been storing them in the space haphazardly. 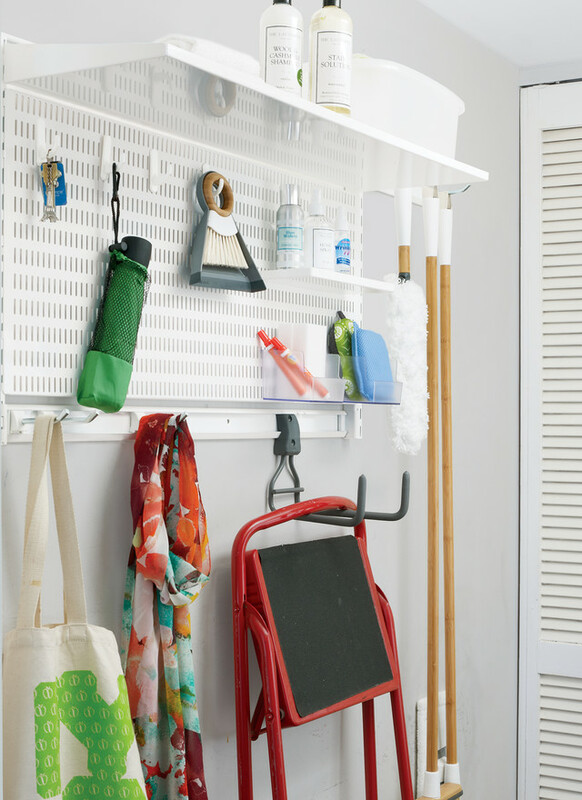 Elfa utility boards and a combination of hooks and accessories made quick work of organizing those household essentials by getting them off of the floor and onto the unused wall space. 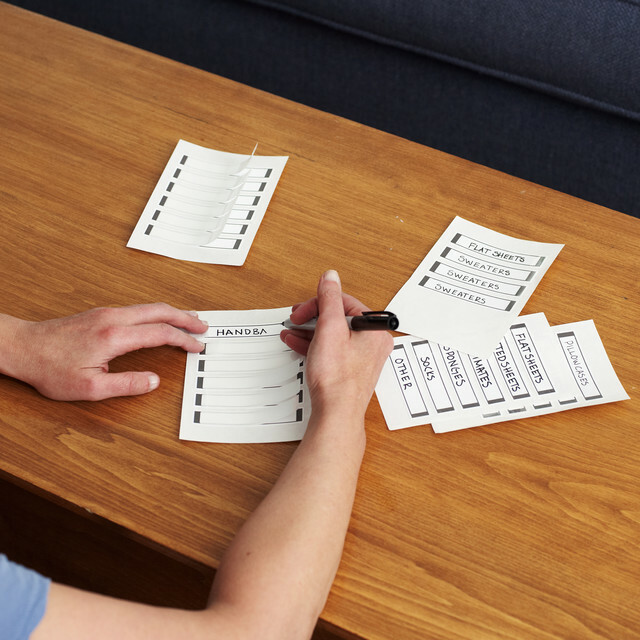 Labeling was a big part of Laurie's decluttering and organizing process, which added to the feeling of love she has for her closet now - she says it's easier to get dressed now and she better understands what she owns. 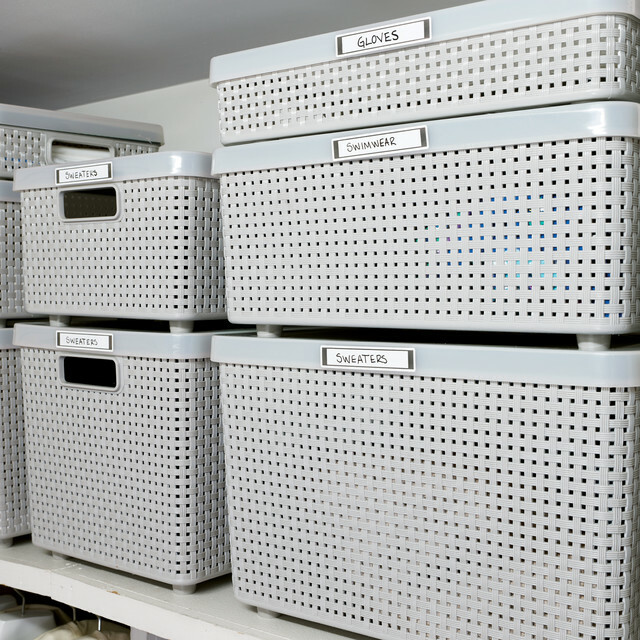 After cleaning all of her winter sweaters, Laurie was ready to store them at the top of her closet in our Cottage Woven Bins. But first, she included our Cedar Sachet, which is one of our most popular pest protection products. It's full of aromatic Cedar shavings and gives off the scent of fresh Cedar that we love, and insects like moths and carpet beetles hate. 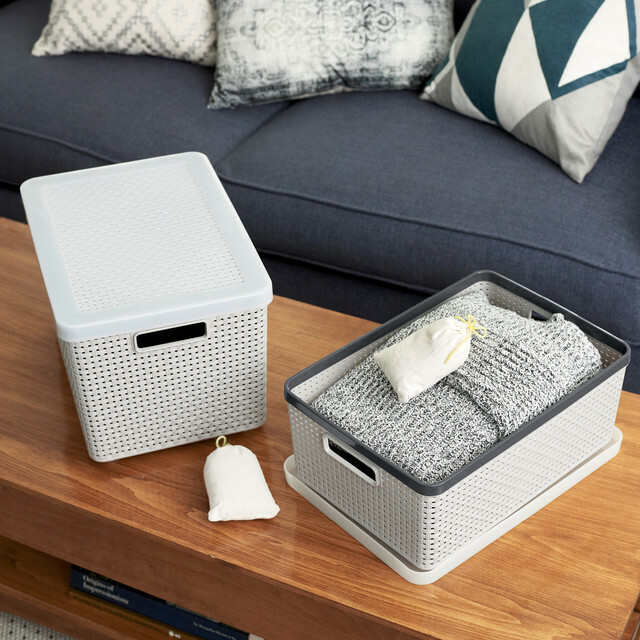 Laurie used her top shelf for out-of-season items like sweaters, and stored them in our Cottage Woven bins, which come in a variety of sizes and are wonderfully stackable. 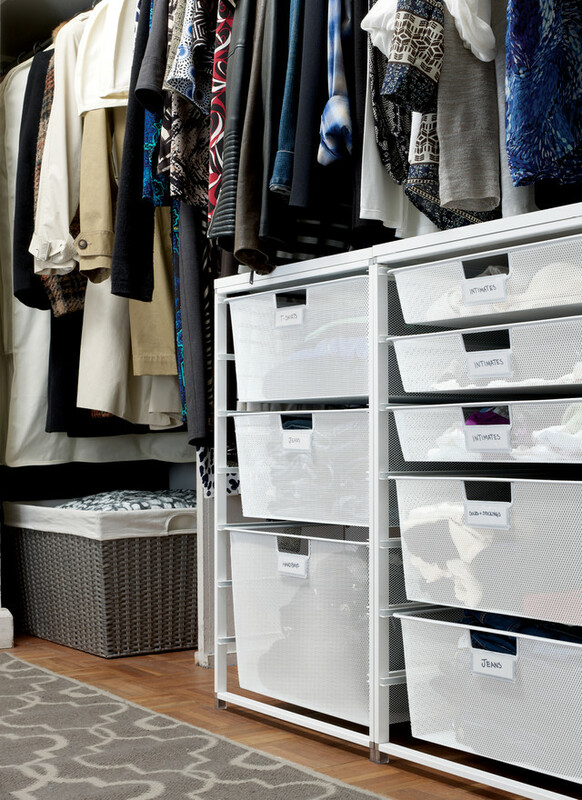 She used our 12-Pair Shoe Organizer to store the shoes she wears less frequently and Our Clear Storage Boxes for boots and other cold season shoes and accessories. One of the treasures that Laurie dug out of the closet during the declutter process was a collection of journals she's kept all of her life - even diaries from high school. Things that meant something to her and brought her joy, yet they were haphazardly stored in bags in her closet and not protected. As she said, she put them in a more "respectful" container, which reflected their importance. And now she knows exactly where they are in her closet. As for those painter's pants, she said she learned that it's important to process your memories without holding onto the symbolic item. "I now understand that you can have memories of people and things without having physical objects that aren't really significant, and can create a lot of clutter."